Historic and vintage photos have so much character and certainly tell some amazing stories. 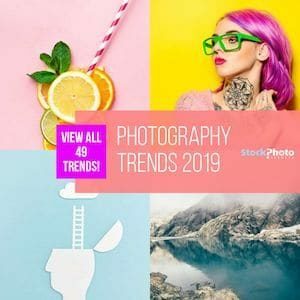 From the launch of the forever-doomed Titanic to the hells of war captured on film, there are some amazing vintage and historical images that you can buy and use for your creative projects from many different stock photo agencies. While some are already in the public domain, i.e., you can easily download and use Dorothea Lange’s “Migrant Mother” with the right attribution and copyright because it’s in the public domain, there are some images that are now available without a license and permission. Often, some of these older pictures have gotten to the point where they are placed in the public domain, meaning that they have no known copyright and are available to everyone for use. You cannot assume that they are public domain, as each source may have a different set of terms, but many are available without copyright if you look just hard enough. But if you’re looking for a specific photo a client needs, then these stock photo agencies will be your best bet in finding those rare historic and vintage photos you can’t get anywhere else. Some are free because they’ve now entered the public domain, or they are offered by the U.S. Library of Congress, and some will cost you something to use, so make sure you always find copyright information and how you can use these images before putting them into use for a client or one of your projects. The Getty Images Archival photos is a vast collection of vintage and historical photos that range from political movements of the 1930s to present day photos of celebrities and political figures. The Getty Image archive also has collections from Time and Life magazines, and historical images created in the early 1800s to present day with their Hulton Archive. It also has the Retrofile collection, unique stock imagery from the 1930’s to 1970’s of authentic photos from the past. From pictures of Ernest Hemingway drinking vodka to the birth of Punk Rock in England, the Getty Image archive is one of the most extensive and rare collections of vintage photos that can’t be found anywhere else. Read our Getty Images review here. Corbis, one of the biggest stock photo agencies in the world, also has a Historical Collection with some photos you may have seen before. The images in the Corbis’ historical collection features everything from Charlie Chaplin, Albert Einstein, and Sigmund Freud editing a manuscript, to Abraham Lincoln sitting for a portrait. The Corbis’ collection has thousands of historical images that are from the political to the invasion of the allies in Normandy during WWII and is also one of the most extensive collections of iconic and vintage photographs. Read our Corbis Images Review here. Cola Images is specializing in vintage photographs, and since May 2012 the archive is online with thousands of images. The images in the library portray the way we were, documenting the history of the 20th Century through its characteristic fashions, trends, icons, lifestyles, and social, economic and political events from 1900 to 1980. Subjects range wide across all subjects: From Chinese tortures to Belle Époque nudes; from artisans at work to celebrities and starlets; from movie stills to sports, from ethnic visuals of colonialism to old illustrations, from pictorial art to studio portraits. Read our Colaimages Historic Stock Photos Review and Interview or check out their website here. The Library of Congress is a website that provides historical material for Congress as well as the American people. Though you are not required to pay any fees to download any of the material, it is your responsibility to research whether the content is copyright protected or not – and then follow up with the copyright owner, if there is one. Many of the images, however, are most-likely public domain and available for your use with the right attribution and linking. The Smithsonian Institution has made their image library available via Flickr. Their images have no known copyright and are available for public domain. Again, in order to not be held liable, it is in your best interest to do some research and verify the copyright status, but for the most part, these images are free for your use. FotoSearch has historical and vintage photos available by download or disk. You are given around 50 to 90 images per disk and the prices range from $129 to $799 per disk. There is a large catalog of various types of images and covering various cultures, as well. Historical Stock Photos provides a place to find free images for email and personal websites. There are a lot of great photos here,but, as always, be sure to follow up on the copyright of these images. While they are probably okay to use, it is important to know for sure prior to using to avoid legal consequences. Critical Past is a little different collection really, meaning that it is vintage stock footage and image stills that are taken from films from the world’s largest royalty-free archival footage collection. The clips go as far back as the 1890s all the way to the 1990s and has everything from NASA Astronaut Selection to the war in Vietnam. You are able to purchase the royalty free video clips or high-res stills captured from the film negatives. 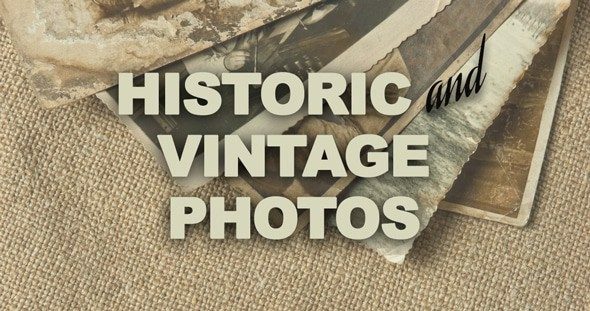 There are also some other stock photo agencies where you can do a photo search for historic and rare vintage photos, but the resources mentioned above will yield you the best results when it comes to finding historic and vintage stock photos. 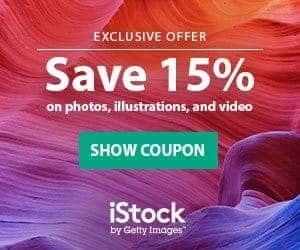 Search results also bring up historic and vintage photos at Stock Photo Secrets Shop, Pixmac, 123rf, Shutterstock, and Flickr.There are many independent websites beyond those mentioned here that provide historic and vintage photos. Digging through each of the websites is half of the fun. These photos are so interesting and, if appropriate, would be a great addition to your project due to the character and significance of each photo. 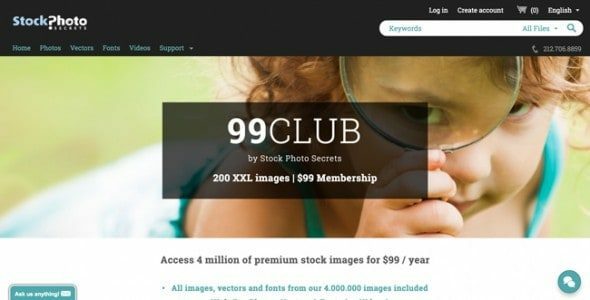 Search Stock Photo Secrets Shop for “Historic Images” now. Images from the past, whether they are historic or just a vintage shot of the past, there are some amazing stock photos out there that you will instantly recognize once you see them. Most people think they might be able to just use them freely because the images are so old and they think the copyright is in the public domain already, but it is better to err on the side of caution. You don’t want to find an invoice from Getty or Corbis for hundreds or even thousands of dollars for using their copyrighted photos without permission. It is your responsibility to make sure that any vintage and historical photos you use are ok to use, and to contact the copyright owner to make sure that you can, otherwise you are using someone else’s content illegally. So don’t get the law after you, instead, take the time and do your due diligence to make sure you are A-OK before using them in your projects.